Any DVD Cloner for Mac is a powerful DVD backup program, which can support DVD-9 to DVD-5 compression. With easy-to use interface and simple operation, it can clone DVD with 1:1 ratio with less quality loss. 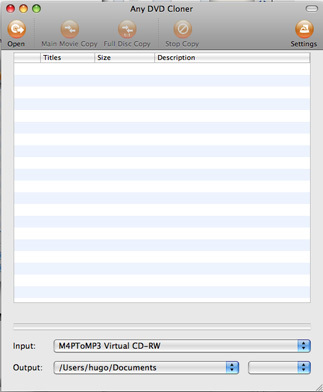 The Mac DVD Cloner can remove DVD copy protections including DVD region code, CSS, UOPS, ArccOS, and so forth, Mac users can make perfect DVD copies of their favorite DVD collections. The DVD backup folder on your hard drive can be further used. You can burn DVD folder to DVD disc with Mac carried program, or add to a Mac DVD ripper such as Any DVD Converter for Mac and convert it to any other video format. Any DVD Cloner for Mac is the best Mac DVD copy software for your favorite DVD movies. Download the trial version and start your DVD backup process on Mac. Clone single-layer DVD5 movies onto single-layer (DVD5) DVD+R/RW DVD-R/RW discs. Clone dual-layer (DVD9) movies onto dual-layer DVD+R/RW DVD-R/RW discs. 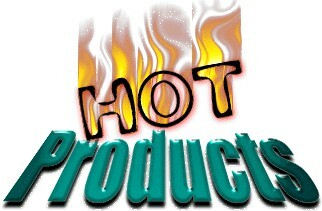 Shrink and copy a dual-layer DVD9 movie into one single-layer DVD5 to save disc space yet create high quality output. Clone a DVD to your hard drive in DVD file structure, you will get DVD folder on your hard drive.